Globally, ‘Tourism industry' has been considered as the second largest employer amongst other significant sectors contributing to economic growth. It is having a close nexus with employment generation and economic growth. When a country moves forward socially and economically, a need for expansion of employment avenues also grows simultaneously. Hence, Tourism Sector has a tremendous potential, especially in India, for development. The industry extends its territory by launching multifarious allied projects such as setting up of parks, sports clubs, hotels and restaurants, transport operations etc., In North East India, Nagaland is one of the States possessing an enormous potential for development of Tourism industry. 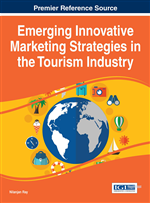 This chapter is proposed to study the role of Tourism industry in boosting socio-economic development Nagaland, to focus on contribution of hotels and restaurants towards employment generation, to identify major marketing issues/bottlenecks the industry and to suggest corrective measures to ensure sustainable tourism marketing in the State. The State of Nagaland was inaugurated as the sixteenth State of the Indian Union on the 01st December, 1963. The State covers an area of 16,579 sq.km. It is bounded by Manipur on the South, Assam on the North and West, Arunachal Pradesh on the North East and also shares a common international boundary with Myanmar on the East. Topographically, the State is mountainous and the altitude varies approximately between 194 metres to 2000 metres high. The state has 11 districts viz; Kohima, Dimapur, Phek, Mokokchung, Wokha, Zunheboto, Tuensang, Mon, Peren, Kephire and Longleng. The entire population of the State consists of several tribes and sub-tribes, having their own distinctive languages and cultures. The major tribes of Nagaland are Angami, Ao, Chakhesang, Chang, Khiamniungan, Konyak, Lotha, Phom, Pochury, Rengma, Santam, Sema, Yimchungru, Zeliang, Kuki and Kachari. According to the Census (provisional), 2011, the State of Nagaland has 19, 80, 602 persons comprising 10, 25,707 males and 9, 54,895 females. Of them, 7, 31,799 males are literates and 6, 25,783 females.